Intersoft Developer Center provides a wealth of technical resources you need to build powerful line-of-business apps with Intersoft Studio toolset, ranging from the web, desktop to cross-platform mobile apps. 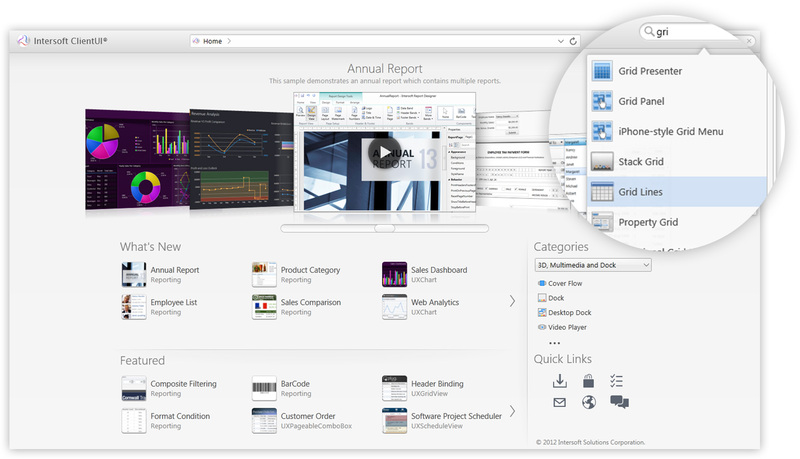 Featuring modern and intuitive interface, the new Developer Center lets you conveniently browse the technical documentation, API references, release notes, how-to guides, videos, downloadable samples, and more – all from the centralized, wiki-style portal. featuring all-new unified design and latest web standards. Crosslight 5 provides everything you need to quickly create great cross-platform mobile apps, thanks to rock-solid architecture and the all-new Android Material framework. The latest release also comes with over 20+ gorgeous Material UI components, modern gauge charts, a versatile signature pad, iOS 9 support, and major improvements across all platforms. Built from the ground-up, Crosslight Data Visualization suite features over more than 20+ types of charts and a variety of gauge charts, allowing you to create sleek-looking dashboards and charts with excellent performance for iOS and Android platform. You can edit almost all aspects of the charts, including title, legend, color palettes, font, font size, and more. Crosslight includes a powerful enterprise app framework which lets you easily build apps that connect to remote data services, manage data changes through synchronization services, send push notifications, and integrate to social media for user authentication. The app framework provides rich class libraries built with modern design patterns such as view models, repositories, entity containers, and query definitions – so that you can build great cross-platform apps that are highly scalable, extensible, testable and maintainable. and over 360 beautiful UI components. with a single application codebase. with over 360 professionally-crafted UI components.